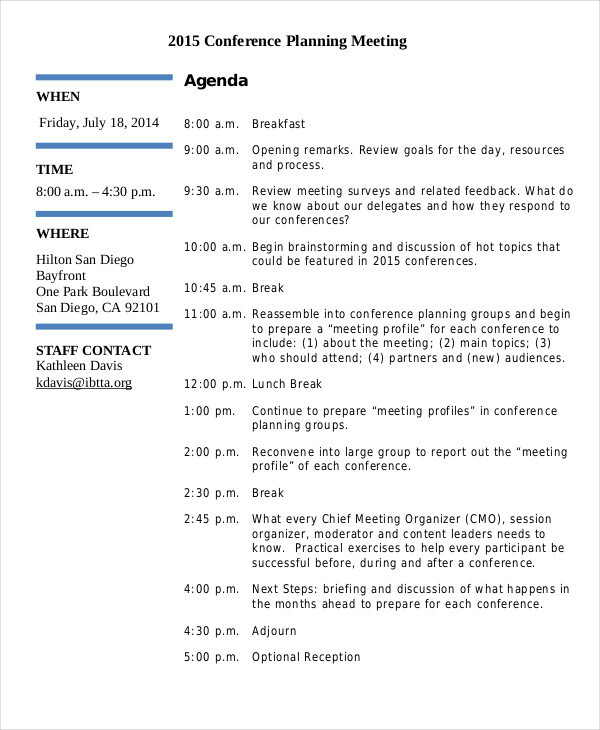 Having an agenda for an actual meeting is advantageous in so many ways. 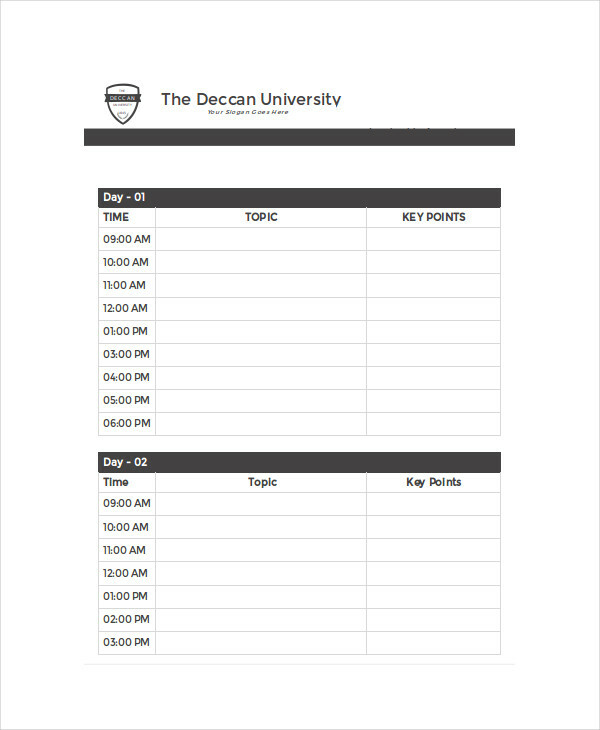 For example, a team meeting agenda dictates the flow of the meeting by sequential events detailed in the agenda, planner, or schedule. 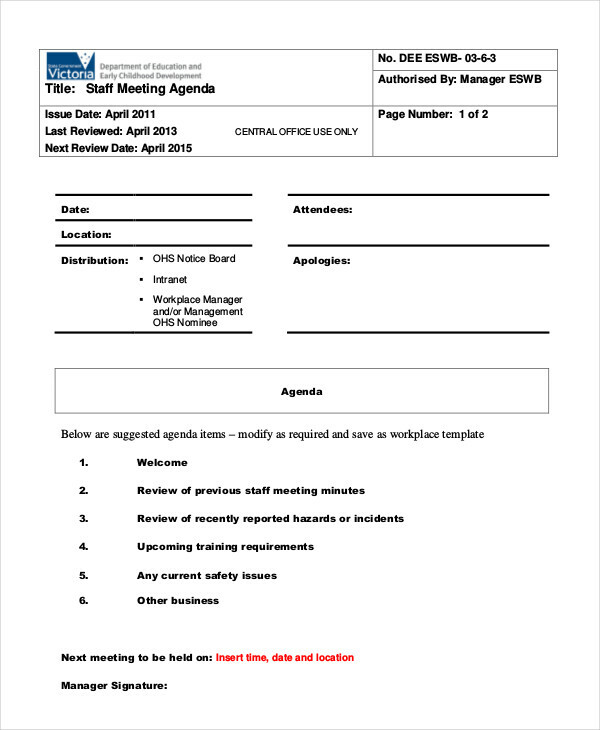 Having a structure for a meeting provides direction and adds timeliness to the order of events in a meeting. 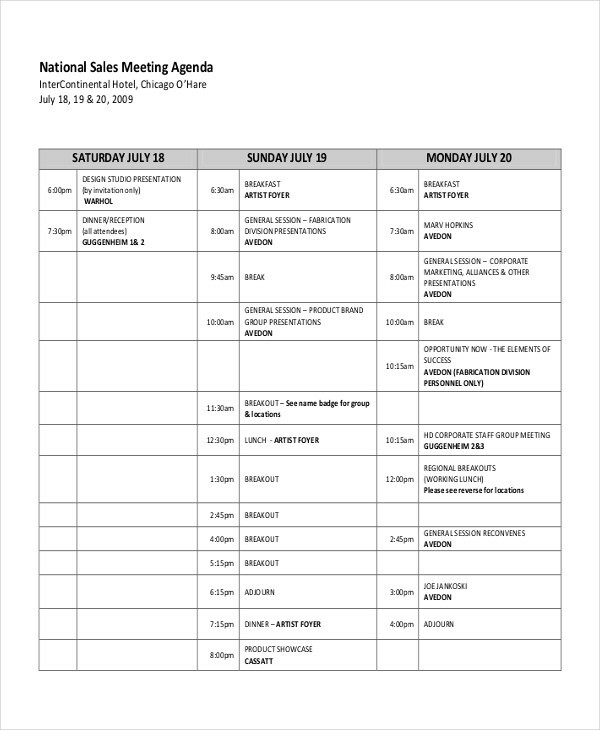 In writing an agenda, there are factors to consider such as determination of what the meeting is about and equally important is deciding who must come to a meeting and those that need not come. 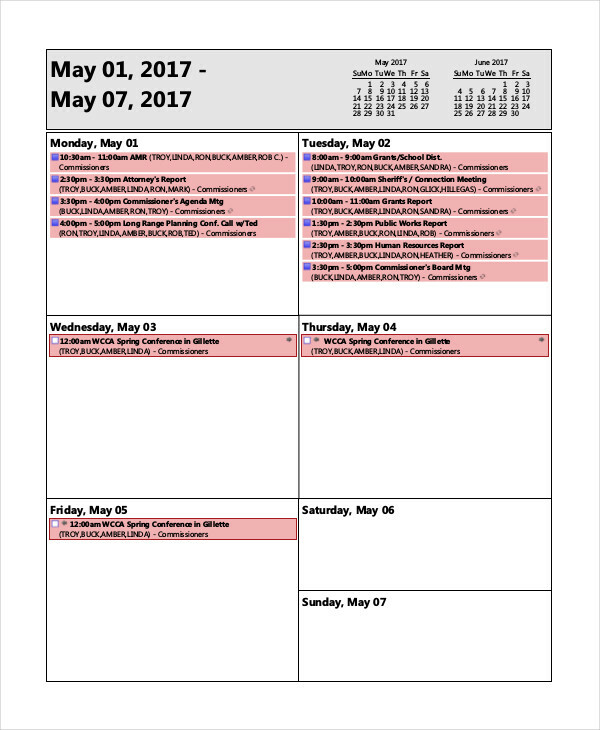 Free agenda samples are found in the page for your reference. Defining an agenda would be comparable to defining a map. A map is, in many ways, similar to an agenda in that it provides direction to the user and the overall “area” where the user has to operate or go through. 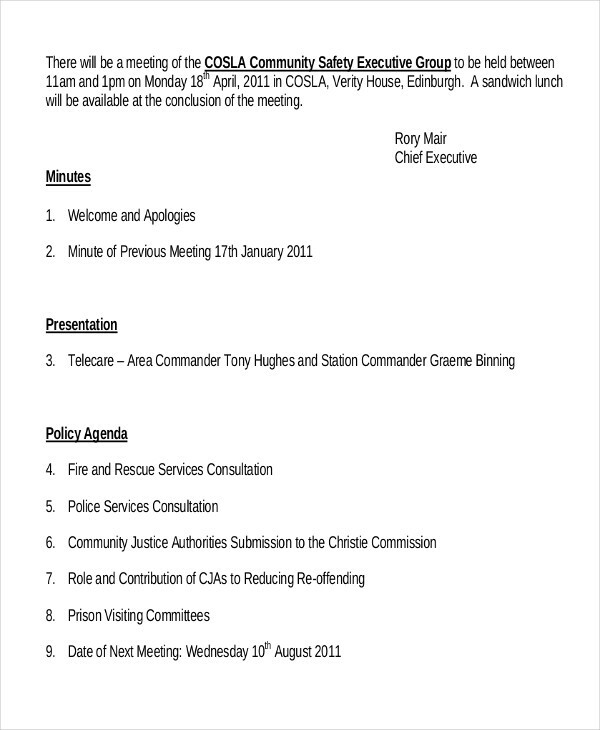 Such is the purpose and usefulness of an agenda to a meeting or an event. Introduction – Introductions include summoning of the participants and opening ceremonies. 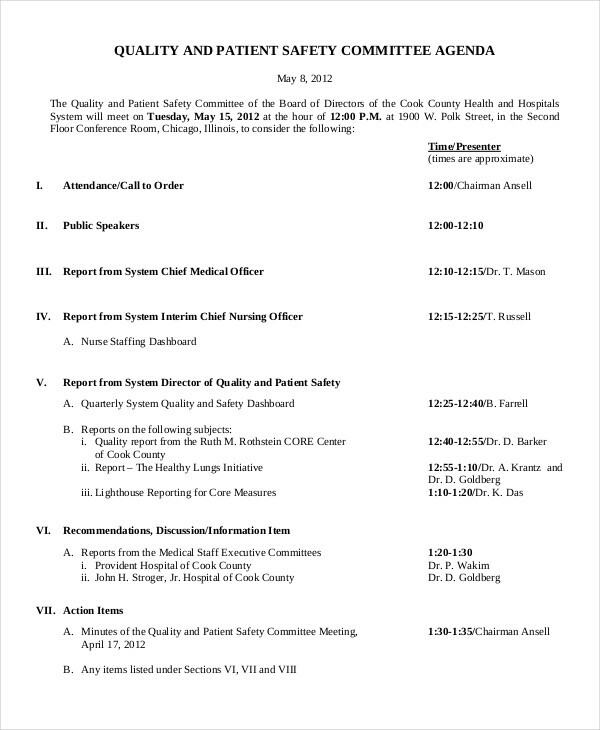 A roll call may be made optional if an assembly or meeting is comprised of a large volume of attendees. Body – The body is where the main order of business or purpose of a meeting is discussed. This is where assigned speakers discuss and sharing of opinions within a team happen. 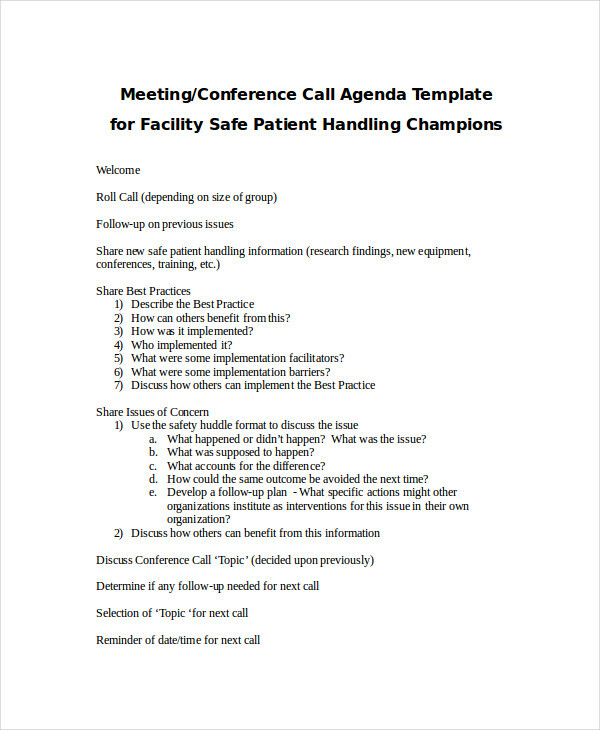 Conclusion – This segment of the program finalizes all plan of actions and strategies formulated during the meeting and designates champions for each with target dates of completion. 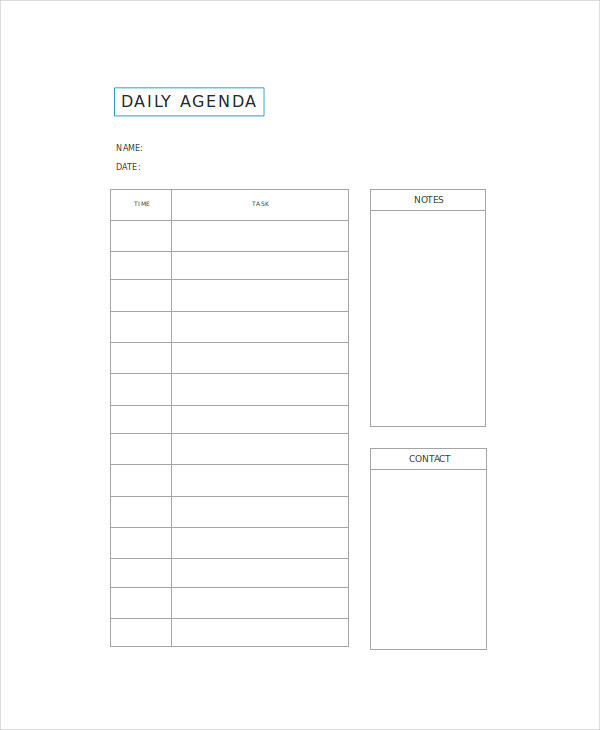 Project agenda and research agenda examples on the page show more information in connection with creating an agenda and may prove useful as inspiration in creating your own agenda. Purpose – Clarify reason behind the meeting if it is to solve an existing problem, informational, or motivational in nature. 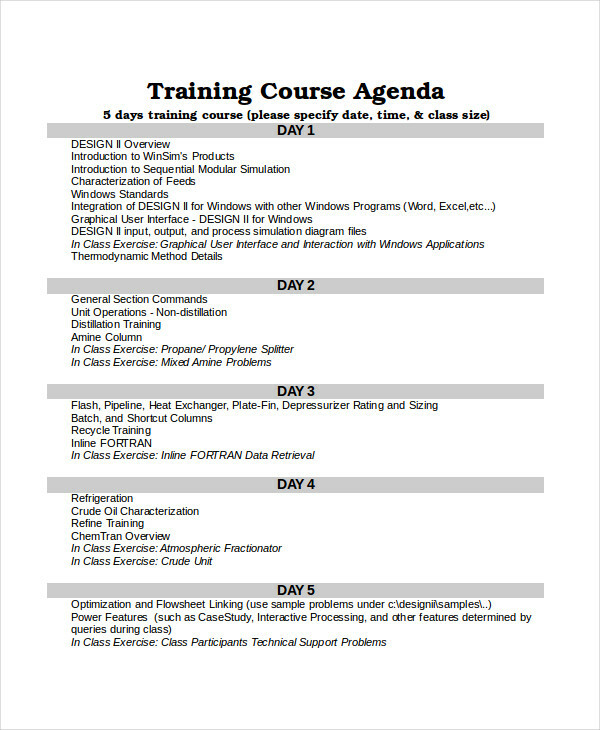 Sequence – Develop an order to which the meeting will proceed. 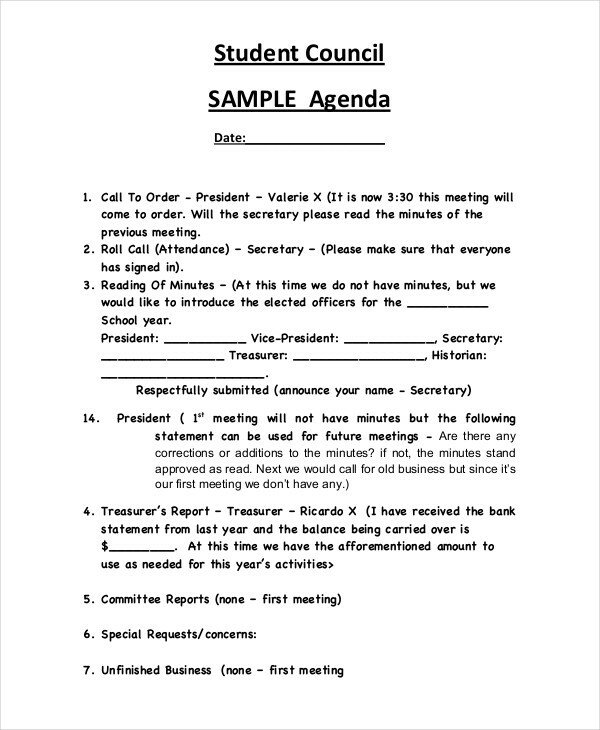 Having set an order of discussion will aid the flow of the meeting. Participants – Decide on who really needs to be in a meeting such as decision makers or designated individuals for certain plans of action or strategy. 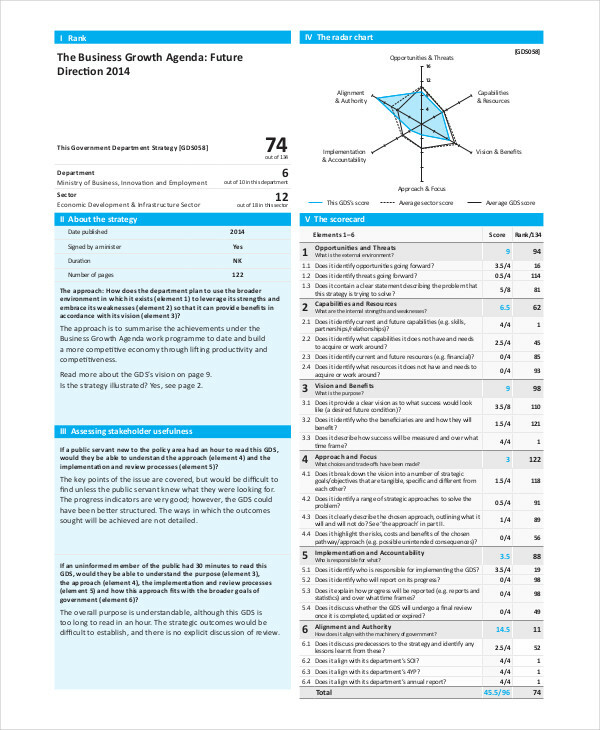 Roles – Assign key roles or champions for each formulated action plan. 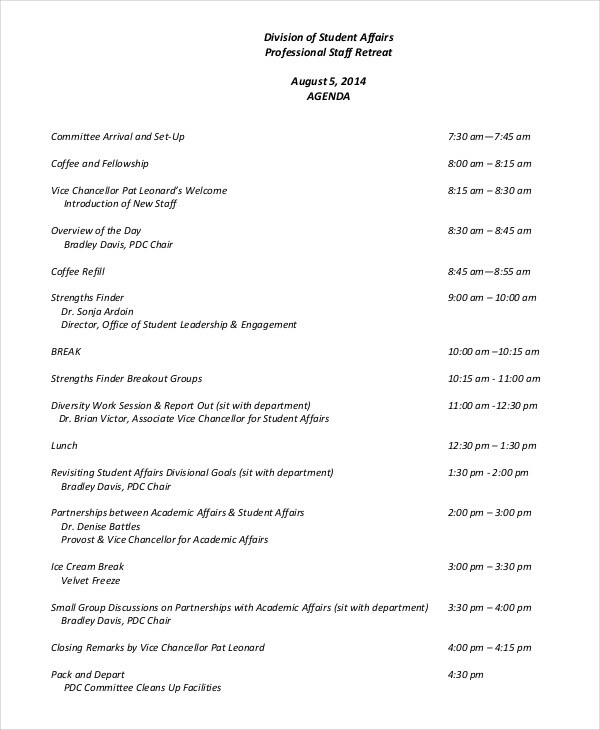 Following up will be easier in terms of determining progress after the meeting. Time and Venue – The right time and place for a meeting helps in creating an atmosphere of cooperation or sharing of thoughts. Select the proper venue which is conducive and devoid of interference. 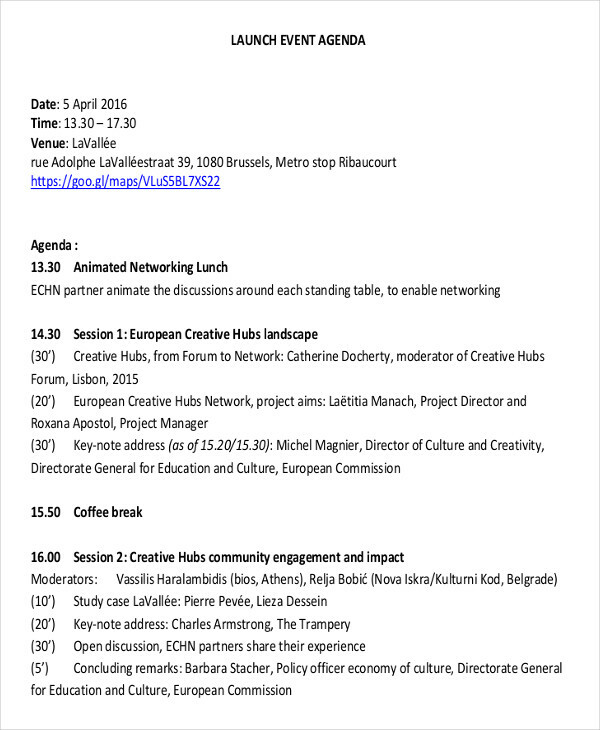 Invitation – A form of tangible material may serve as reminder for a meeting. 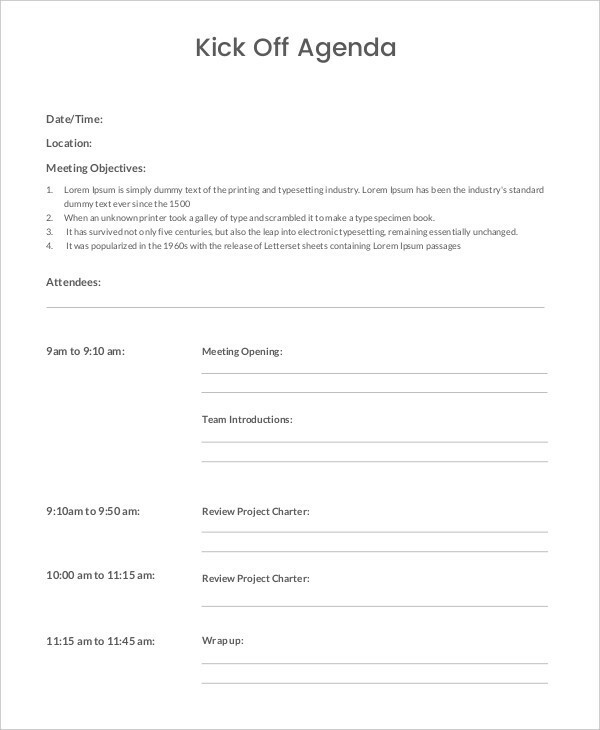 Some people tend to forget details and a reference such as an invite is a great reminder for any person invited to a meeting. Decision Process – The way that decisions will be made during a meeting must be predetermined to avoid confusion and argument. There must be a clear understanding whether a decision may be made up to a vote or a consensus of a few key individuals. 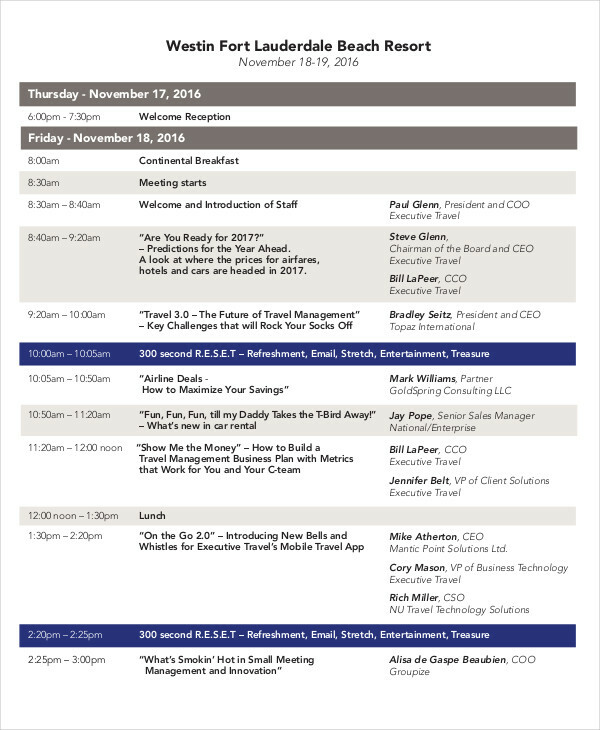 Finalize – Summarize the agenda and the main points included. 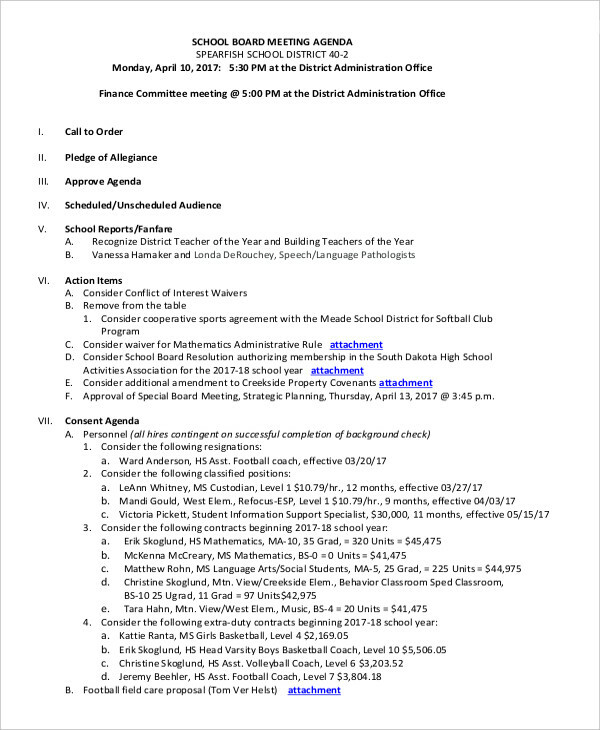 This will be the main discussion points during the meeting. 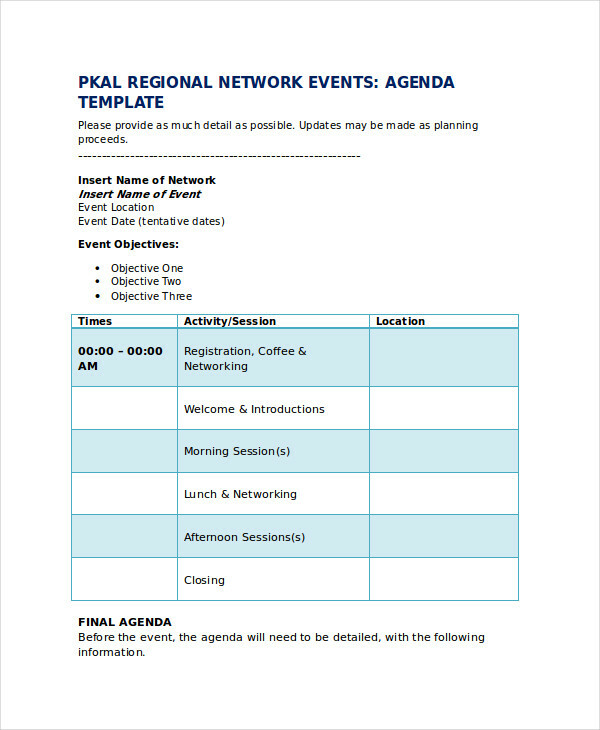 Follow-up – Invitations to key individuals must be followed up to ensure attendance to the meeting. 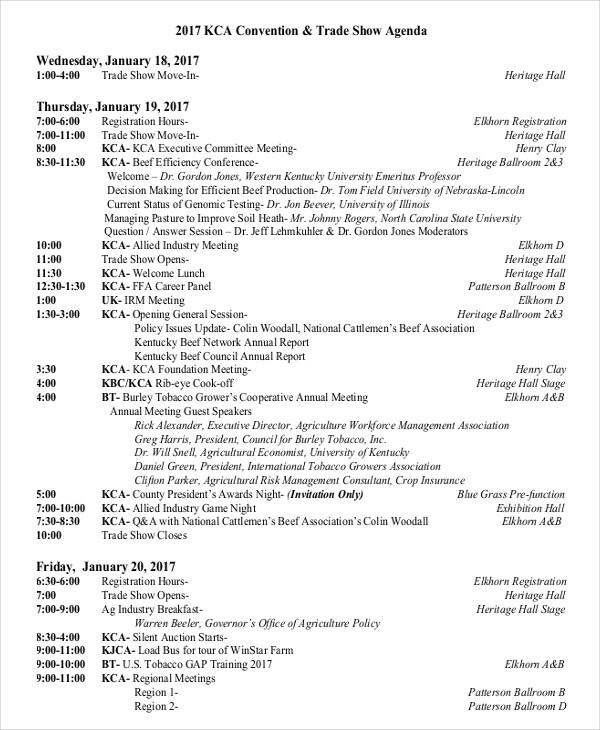 Agenda examples in PDF and printable agenda examples found in the page are available for download to assist you in the making of your agenda. Just click on the download link button below the sample to access the file. Consent agendas are made beforehand to briefly cover issues that do not need to be discussed thoroughly and can just be agreed upon due to simple and basic nature of the issues. These issues are listed as a whole and decided upon all at once to save time. 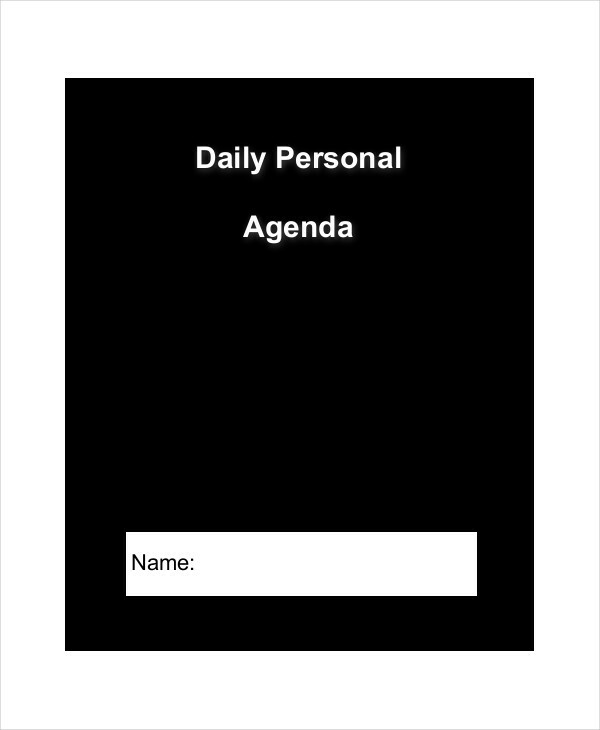 Agendas provide decisions and designate individuals to take charge of generated action plans and developments for issue resolution. 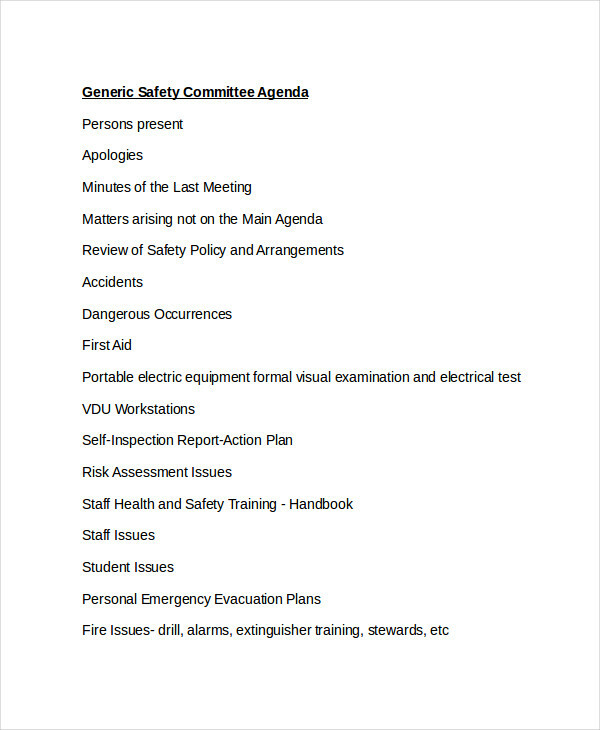 Daily agenda, team agenda, safety agenda, and work agenda examples found in the page can be made as reference for further understanding about the factors involved in an agenda. These samples are made available for download by clicking on the link below the sample. 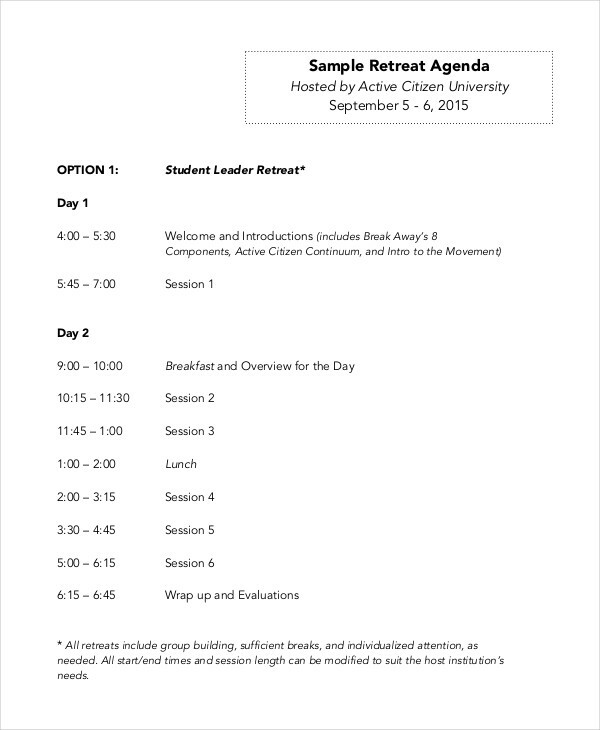 Opener – Each agenda starts off with different opening ceremonies. Decide on which one to take. 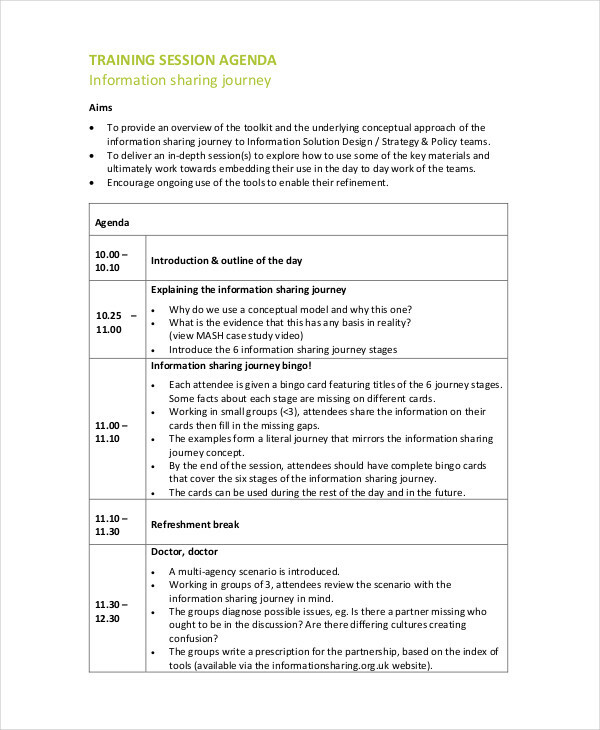 Introduction – Prepare a segment that introduces key individuals chosen to lead discussion points during a meeting. 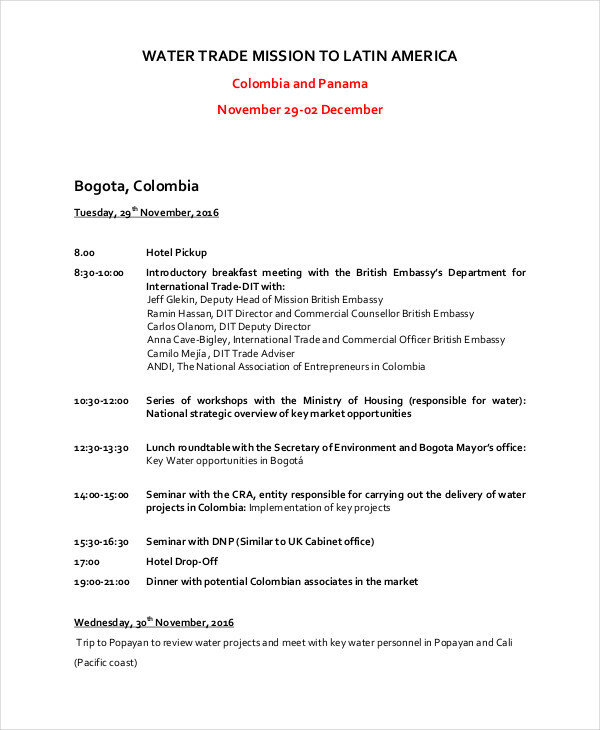 Objective – The main objective of the meeting is reiterated and made clear. 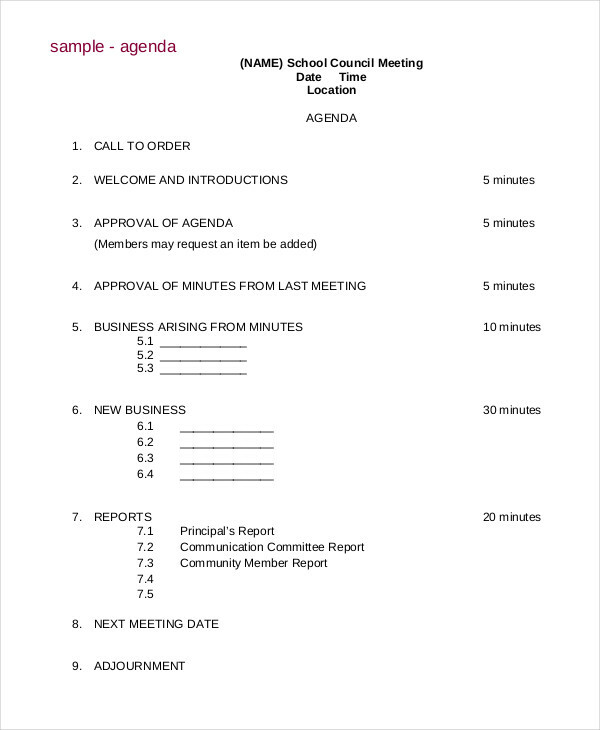 Presentation Sequence – The order in which discussion is to proceed is announced for setting of expectations including time allotted for each discussion point. 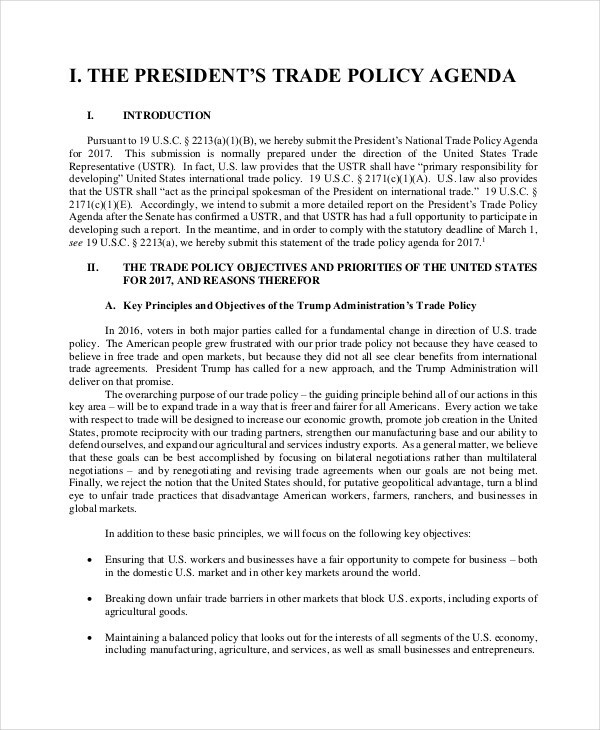 Key Points – Key points are organized such that it leads from the supporting point to the main point of discussion during the meeting. Supporting Material – Additional material needed to further support discussion points must be distributed prior to the meeting or the start of the meeting to aid in the understanding of the points discussed during the meeting. 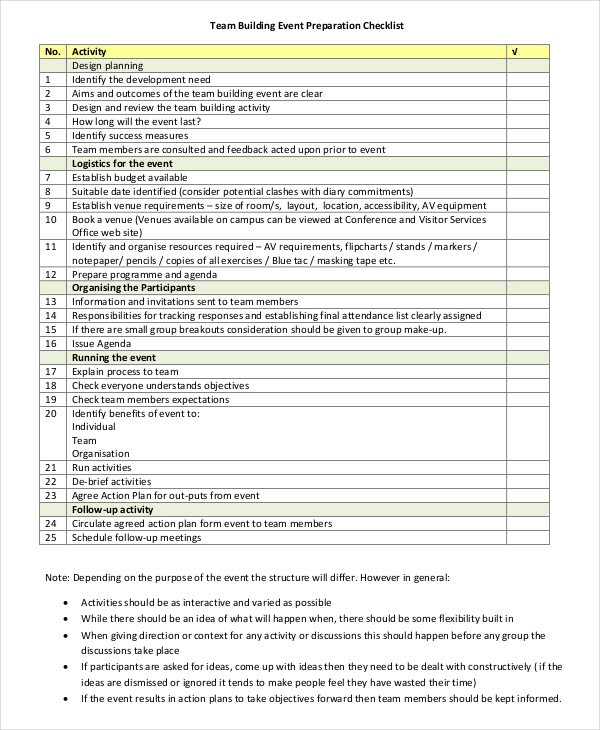 Action Plans – Formulation of plans of action and the designation of individuals to lead the action plans are specified for future follow up of the progress each action plan has made after the meeting. 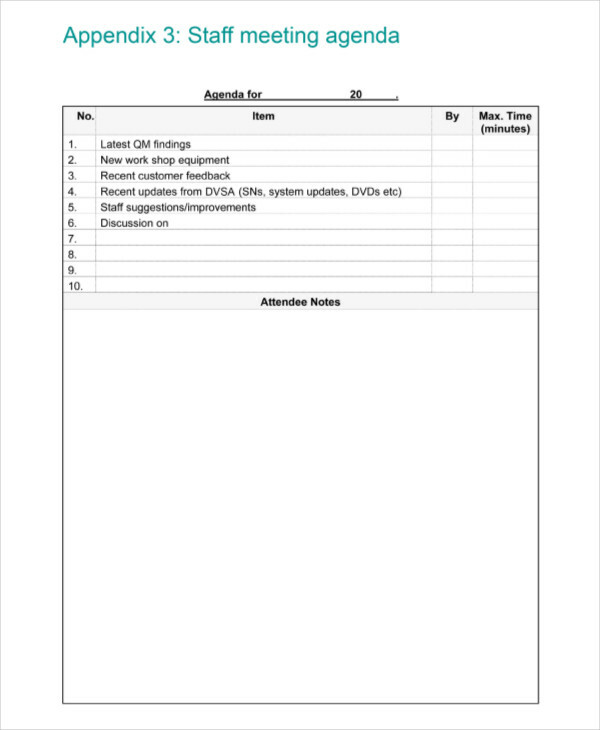 Summary – All discussion points in a meeting are summarized to clearly identify decisions and individuals to carry out the plans in connection to the decisions made. 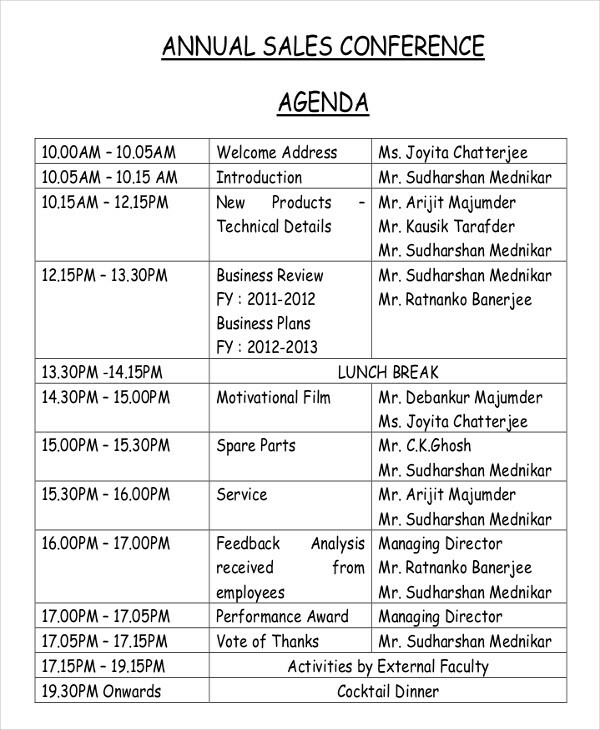 Sales agenda and business agenda examples in the page further supports the guidelines shown above. They are made available for reference and inspiration.